We all have our little quirks and behaviours. Maybe we are aware of them ourselves, or perhaps other people will point them out to us. Most of the time, these habits are harmless. Sometimes they give us some level of comfort or security. Many people are superstitious to some extent and believe that certain things that they do can help to avoid misfortune. For example, people often avoid walking under ladders or 'touch wood' to avoid bad luck. For some people, these habits get out of hand: they begin to obsess over certain things or feel that if they don't do something, everything will go wrong. An obsession is a thought that will not go away. Whilst it is common for this to happen to most of us at some point, a person with an obsessive thought just can't get rid of it, no matter how hard they try. They may then find that they feel a compulsion to behave in a certain way, to do something to relieve that obsessive thought. The support website OCD UK includes a lot of information about specific behaviours which you can find here. Hoarding is a specific type of obsessive behaviour in which an individual has difficulty in getting rid of possessions, even when they have little or no actual value. It can sometimes be related to compulsive buying, and just thinking about discarding items can cause large amounts of stress and anxiety. There are many reasons why a person may feel unable to part with an item: perhaps it has sentimental value, or they simply can't decide what to do with it, or perhaps it is connected with someone who has passed away. In fact, there is often a sense of loss or bereavement behind hoarding behaviour. Whatever the cause, hoarding can cause embarrassment and a reduced quality of life for the individual. It's quite common to have a certain level of obsessive thoughts. For example, we may worry that we haven't locked up when we go away on holiday. When those thoughts begin to impact on daily life, take up considerable amounts of time or cause a high level of stress or anxiety then it might be time to seek help. I'd advise you to visit your GP in the first instance as they may be able to offer help with medication. For long term help to resolve obsessive and compulsive behaviour, you may want to investigate some form of therapy. 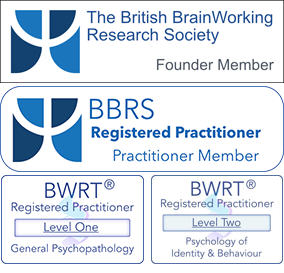 Hypnotherapy and BWRT can both be very effective in helping you to re-adjust your thoughts and behaviours, offering you relief from the anxiety these cause. Once the anxieties behind these behaviours are reduced, there is then no longer any need for the obsessive behaviour itself.